Hopes dim for VW's diesel hot hatch in U.S.
VW had said the GTD likely would arrive in the United States next year. NEW YORK -- Volkswagen AG has pulled back on plans to sell a souped-up diesel Golf called the GTD in the United States because importing the GTI sibling’s engine would add too much cost. The high-powered 2-liter TDI engine used in the GTD cannot be produced at VW’s engine plant in Silao, Mexico, so it would be imported from Germany, Volkswagen Group of America CEO Michael Horn told reporters today. Volkswagen said last year that the GTD likely would arrive in the United States next year. At a press event in Germany, Andres Valbuena, product manager for the Golf, told reporters then that the GTD probably would be priced around $27,000. “We see it as a very important part of our full range of offerings, a technology halo for our diesel technology,” Valbuena said at the time. Horn said he couldn’t say why the engine couldn’t be made at the Silao plant, which VW opened in 2013 with annual capacity of 330,000 engines. That plant will build the less powerful diesel engine used in the Golf TDI. VW plans to roll out the rest of the Golf family in the United States during the coming year in its biggest wave of product introductions since the launch of the redesigned Passat and Beetle in 2011 and 2012. The gasoline-fueled GTI will arrive at U.S. dealerships in May, followed by the Golf and Golf TDI in August. The electric e-Golf will go on sale in the fall, with the Golf SportWagen and top-of-the-line Golf R following in early 2015. The midcycle update of the Passat next year will be more aggressive than the Jetta refresh unveiled in New York. The update of the Jetta is a “decent” step, Horn said, but the Passat’s freshening will be “a big step.” It will include VW’s new MIB infotainment system, used in the Golf family. 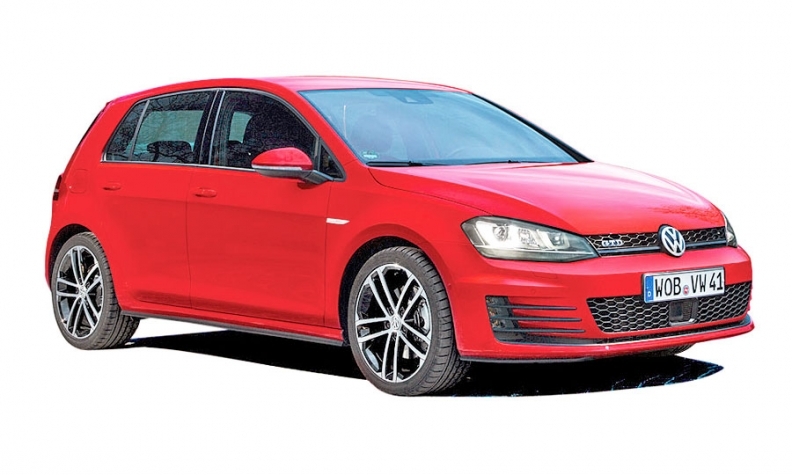 VW will offer a value-priced Golf with a TDI diesel engine to appeal to economical buyers. U.S. buyers already can get a “value edition” of the Jetta sedan, starting at just above $22,115 including freight. VW will decide this summer whether to invest in all-wheel-drive tooling at VW’s assembly plant in Puebla, Mexico. That would reduce the cost of awd versions of cars such as the Golf and Golf SportWagen. Now that VW has ended a partnership with Daimler AG that allowed VW to sell rebadged Sprinter vans under the Crafter name, VW is considering bringing the next-generation Crafter to the United States.